It can be relaxing to take a dip in the pool after a long day at work. Each summer, children also look forward to playing in the pool. Unfortunately, accidents can also occur in pools that result in serious injuries and sometimes even fatalities. The Centers for Disease Control report that more than 3,500 individuals die each year due to drowning accidents. When these accidents occur, one of the best ways for a person to respond is to obtain the assistance of an experienced accident attorney who can make sure that your case resolves in the best possible fashion. Circulation entrapment injuries. These injuries occur when a person is trapped by suction created by water emerging from the drain of a pool. 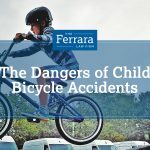 When young children are involved, these injuries can be particularly severe and result in amputations and disembowelment. Diving board injuries. You should never dive into a swimming pool if the water is less than six feet deep. Each year, though, many swimmers are injured by diving into water that is too shallow and end up facing traumatic brain injuries and spinal cord damage. Slip and fall injuries. The area surrounding a pool can get slippery due to water that splashes out of the pool. As a result, people around the pool can fall and end up experiencing injuries like broken bones and bruises. Submersion. Being under the water too long can result in a variety of serious complications including lung and nerve damage. Consider a pool alarm. An alarm around a pool will notify you when anyone enters the area. As a result, these alarms can prevent children from entering the pool and drowning. Make sure your pool is up to code. A pool inspector who is licensed by the Association of Pool and Spa Professionals or the National Swimming Pool Foundation can determine whether a pool is dangerous and needs any repairs. Failure to maintain a pool can lead to very serious accidents. Place barriers. Using barriers around a pool will slow down children from entering a pool, which increases the odds that they will be spotted by an adult who can prevent an accident from occurring. Pool covers can also be used to avoid accidents. Store chemicals properly. All chemicals in a pool must be kept out of reach of children. Exposure to these chemicals can lead to serious injuries. 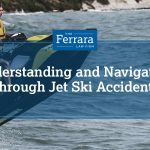 The legal counsel at Ferrara Law understands just how life-changing pool accidents can be. When these accidents occur and another party is responsible, we can help you create a strong legal strategy and will remain committed to fighting for the compensation you deserve. Contact our law office today for assistance.